Hello Stranger! It’s nice of you to stop by! A quick introduction is in order. 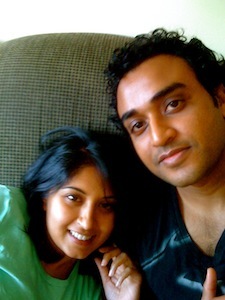 We are Anup and Medha, both in our mid-30s and currently living in Vancouver, Canada. Anup is a Software Engineer by profession, and is the techie behind our little initiative called Farm on Plate! Medha is classically trained in french cuisine, who is the creative force for all the recipes, pictures and videos you see on the site. We fell in love in high school, survived the ups and downs of the early years, and have been married for 15 years now. This website is our space where we want to share our stories from our journey towards a healthy lifestyle. We certainly hope that you would come along! Both Anup and I grew up in Gujarat, a state in Western India. Neither of us had seen the inside of an airplane till we were in our 20s, so we are very Indian at heart! India has evolved a lot over the past 10-15 years, but the country that we grew up in might as well be its own different planet, Planet India. On this planet, the simplest of indulgences were considered luxuries which were not available to middle class families, and all families were middle class families. Dining out was one of such luxuries. Our families would go out for dinner may be once every 4 months. The prices on the menus were carefully evaluated. Food was always ordered with “we can always order more later” mindset, and later generally didn’t happen. Our moms were dedicated to their kitchens, and our dads would jokingly call them the Home Ministers. Sabjiwalas would come by every morning on their bicycles or carts to sell fresh produce picked up from local farms that day, and all moms would go through the morning rituals of buying produce for the day. Food was prepared fresh, and eaten the same day. The concept of frozen foods was as remote as the western world that we had never seen. Both of us arrived in the US in our early 20s, and along came a lot of lifestyle and dietary changes. We didn’t have the Home Ministers who dedicatedly cooked fresh foods every day. We also suddenly found that dining out was not only affordable, but often times cheaper than cooking at home. Wendy’s, Burger King, Cici’s Pizza…oh such a wonderful concept! After a full day of working at our desks, there was nothing more liberating than to walk into a restaurant and wait for our food to arrive! Even the food we ate at home started including frozen pizzas and microwave ready meals. Anup had discovered the holy grail of comfort foods – Twinkies! Our new lifestyle soon caught up to us. We were both carrying extra baggage now, and the love handles looked like they were there to stay. We both got more sluggish, some complaints about back pain, headache etc started getting more common. In India we are taught that if you truly love someone, you accept them for who they are. We were too nice to point out to each other how our bodies were being transformed. We just ate more comfort food when we felt low and life was good again! In 2004, a friend of mine who I knew since high school years in India was getting married in Milwaukee, WI. I flew out to her wedding and met a bunch of my high school friends there. Later she emailed me a couple of my pictures from her wedding reception. I still remember how disconnected I felt with the girl in those pictures that day. The girl in the picture was heavy, but more importantly, she was in denial. She didn’t think there were any issues with her lifestyle or her body. Looking at that girl in the pictures was the wake up call I needed. I told the girl in the pictures that she deserved a better life, and a better body. Acknowledging that both of us needed to change our lifestyle and diet to be healthy again was hard. Even harder was deciding what we had to change and how we would go about making those changes in our lifestyle. For the first time in our lives, we learned to read nutritional labels on the groceries we were buying. The frozen, semi-prepared foods were slowly replaced by leafy greens and fresh, local, organic produce. We consciously decided not to think we were on a short term diet. We wanted to make some slow, long lasting changes in our day-to-day lives. It has taken us years of learning about nutrition, exercising and healthy eating to get to where we are today, and we are still discovering new things everyday. So here we are. We are in better shape than we were in our 20s. But we are still on our journey to be happier and healthier. We would love sharing our stories with you, and may be learn a few things from you. We are always looking for new friends, can not ever have enough of them. Please drop us a line at medha(at)farmonplate.com or connect with us on the social media. We surely hope you do! Our recipes reflect our lifestyles and personal stories. If you would like to know a bit more about us, we recommend you start with this post I wrote on Anup’s Birthday. Thanks for stopping by! I loved your website as well..you are in my bookmarks for nutritional education! This is a very good initiative from your side. I learned so many things from your beautiful story. Keep it up. Just came across your blog. Absolutely love it! Brought back memories of similar situation I was in once I moved to United States. Had to come check out your site…your images are GORGEOUS! And what a neat story. Can’t wait to see more! what a great story and so relatable – down to the bad food, weight gain and turn around! Lovely blog too – I can’t wait to read more. Gorgeous photography and I really enjoyed reading about your journey. I’m a follower and a fan! You have a beautiful site as well! Glad you stopped by. Really nice to see and read about you in your beautiful little space here. Your positivity is truly appreciated. Keep up the great work, you have a very special thing going on. Looking forward to interacting more. Thank you Ash! There were others who inspired us, when we needed it the most. Thanks for your kind words and looking forward to seeing you around in the blogosphere! WOW. Can I just say this is one of the best About pages I have come across on a blog—You totally drew me in. My dad is from Southern India (Kerala) but I have never been, and I always love hearing more about the culture there. But mostly, I am fascinated by the dietary changes you guys have made and how they have affected you. Brilliant. Shanna, thank you! We are new to blogging, and comments such as yours are a boost! You have a lovely blog as well. Looking forward to more run-ins with you in the blogosphere! Awesome story! I guess this really happens to Asians who acclimatize to the Western diet huh? We share a similar story on the weight gain, but my husband and I are still in the middle of the battle to keep the weight off. Sigh. Congratulations for being an inspiration! Thanks for stopping by Didi. It has been a life changing experience for us, and we are constantly learning about improving our lifestyles and diet. Its a process, not an event. Hang in there! Medha, your blog is so nice. Loved reading about your story! I’m from Gujarat too, but unfortunately have never had the chance to visit. Even though I’ve lived in the west for all of my life, your stories about eating out and having “Home Ministers” definitely rings a bell! Great blog and love the photography too! Thanks Anjanee! I have recently discovered your blog, great work! Great way of inspiring all, especially the newbies to the concept of western food culture and their consequences. Appreciate the effort of preserving the Indian “HEALTHY” food tradition on this blog. Keep inspiring with your recipes. Nice pictures..! Great story Medha I would love to go to India one day. Great story! I am seriously loving your blog. You are creating awesomeness! i can so well relate with you regarding the middle class families we grew in. good to know about you medha. will be following your blog. Love your website! And my husband and I both love India and are very involved with the charities of Mata Amritanandamayi, or Amma – as she is affectionately known. Can’t wait to try some of your recipes which look to be a delightful blend of east and west! Hi there. I love to read your story again and again. inspired me a lot to lead healthy lifestyle. Beautiful. I definitely will follow your blog! It is a pleasure knowing you and your blog and it is even more merrier to meet a person who thinks alike. Love your recipes, photography and the stories. Keep them coming. Thanks for visiting! I am a big fan of your photography and a regular on your blog. Hope to see you around in the blogosphere! i stumbled upon your blog and am thrilled! your photos and recipes are gorgeous! can’t wait to see more! The before & after picture on your sidebar prompted me to click here Very heartfelt story, I can relate at so many places. Thankfully, I never fell prey to Cici’s & Wendy. I don’t eat raw & whole grains daily, though I try to include them in our meals as much as possible. I just feel that our normal indian style ghar ka khana is so healthy and nutritious – roti, sabzi & dal (when cooked without lots of ghee/oil) .If prepared and consumed in moderation, Indian food is so balanced & wholesome. And the rest is left to exercise & active lifestyle – really important for good life. My two cents. I love how you plate your food Medha – so beautiful & in line with your blog name. So glad to have you the blogging community! Thanks Tanvi! I agree with you on the homemade Indian food being nutritious and healthy, as long as there aren’t Gulab Jamuns as dessert every day! Being healthy is a lifelong process of learning about nutrition and adopting good habits! Inspirational, you look stunning! U go girl !! Nice website. Thanks for your story and recipes. what a lovely blog and what an inspiring story! stayed in the U.S. for two years and can soooo relate to the temptations of eating out and frozen foods, esp if you are running after yr children the whole day! After those two yrs of binging- i have an uphill battle with my bulge and would definitely be trying out most of your healthy alternatives. Maryam, glad you stopped by! With a bit of advanced planning, a healthy lifestyle can be quite manageable. I certainly hope my recipes help you move in the right direction! Must say, quite an inspiring share. Kudos to you guys, Medha & Anup! Keep sharing & Keep living life to the fullest! Beautiful story, Medha. As someone who went through something similar, I’m so inspired and grateful that you’re sharing your story via this gorgeous blog — and so happy to have found your blog recently! Thank you for this and look forward to keeping up with your lovely work. 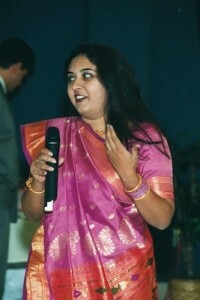 Very interesting blog Medha! I moved to the US a year ago and soon learnt that the eating out lifestyle wasn’t for me…and how much ever comforting the quick foods were, it was the least comforting for my future health. Am a nouveau cook and will keep visiting to refresh my kitchen experiments. Where did you go to Culinary School? 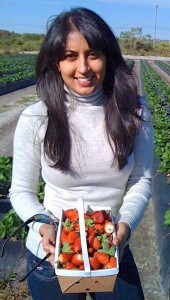 Thanks for visiting Pooja! I went to VCC here in Vancouver. See you around! You have beautiful space here and I throughly enjoyed landing in your space and reading your inspiring write up ! I like the way your tell your stories, in a fluent way with hints of humour but wihout making “too much”. I also recognize myself in some of your remarks here and there, particularly when you say that it is frightening how little people care about what they eat. I am very lucky to have met someone who shares this concern about food quality and truly it makes common life much easier. Though it comes very natural to us to eat fresh and homemade meals, people often consider us with curiosity and asking questions such as “do you always prepare your own meals for lunch? (instead of eating at the university restaurant)”. Or they laugh when for pic-nics we bring fresh bread and some homemade bread spreads instead of just buying a sandwich. But sometimes it also encourages people to prepare their own food and nothing can make us happier than having inspired someone to do so! Funny thing is that I never really had a comfort food period in my life but my brother do, though we both were served a lot of homemade meals as children. But maybe he will change his point of view in a few years! Alice, thank you for your thoughtful words! I have been on both ends of the spectrum – from eating boxed meals everyday to being at the farmers market before it opens! Its funny how habits can be changed and how habits change you! Loved reading about your background and discovering your blog. It’s so true, sometimes we need to have our story reflected back on us, literally, to get a true picture of where things are at and allow us to reassess. Congratulations on your amazing progress and initiative. In the end, we are all works in progress, journeying together. Cheers. Thanks for visiting Kelly. I love your blog too, great work! I am so glad to stop by your blog. Your about me is I think about all of us who had the same story line. I felt like you’ve written about me and us. Loved reading it. Thank you Soma, I am glad you stopped by! Thank you Shruti, તમને મળીને આનંદ થયો! I stumbled upon your website while searching for some quinoa recipes through google. Quick 5 minutes visit turned to more than an hour. As I read through your website, I realized how close your story is to me and many Indians who came over to US in their twenties who never saw the inside of an airplane before (lol! I just love this line). I love how well you transformed your life style and how honest and determined you are about your journey. For me, Food Inc., movie was an eye opener. I am trying my best to change too. It’s so easy to adapt to this comfort life style but takes tons of determination to switch back. Vani, thank you for your message! I am discovering that a lot of people can relate to both sides of my story – the immigrant living in the western world and the person who lost track about what food was supposed to be like. I am glad that you are finding your way back, and am excited to be with you on your journey! Came across your blog while searching for chocolate tart… You have a great space here. Absolutely loved your intro, it’s just like you meet someone like you unexpectedly…well as you say, it suits majority of Indians! Hi there! Just found your site and absolutely love it! I will definitely visit regularly from now on. I also live in Vancouver and love it. Thanks so much for sharing all the heartfelt stories and recipes! Hi Medha, great work, doable recipes wonderful pictures. So glad I found this blog I believe in real home cooked foods as well, keep writing about them as much as I can. Great to connect. Congratulations to your lifestyle transformation and this beautiful blog of yours! Only discovered your instagram profile two days ago and immediately fell in love with your pictures and words! Please don’t stop sharing your ideas with us! I learned about you through Instagram. Admire your intricate details, fusion recipe and photo composition. Keep up the good work. Thank you Jinal! Always a pleasure to meet a fellow Barodian/Gujarati/with a husband of 14 years We must have been sisters in another life!